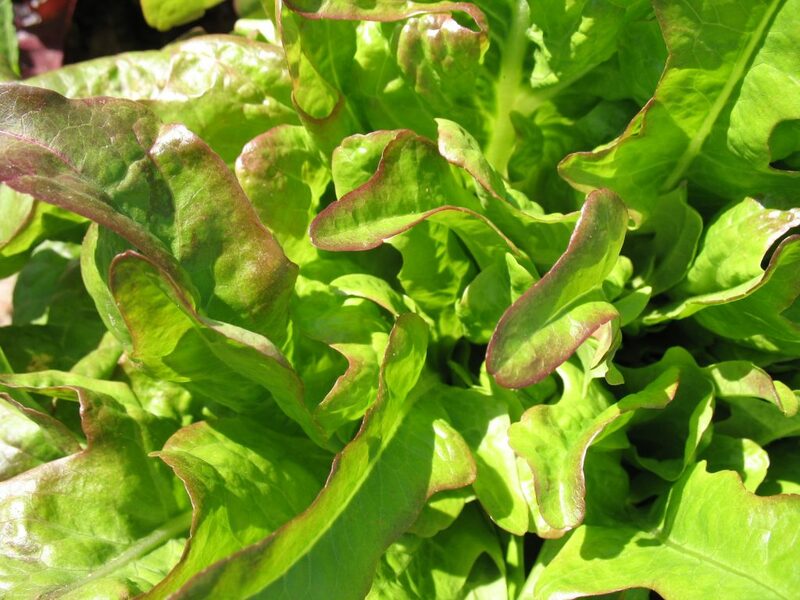 Bronze Arrow lettuce is a beautiful and tasty early spring variety. We’re continuing to have enough lettuce. We have pulled the first baby lettuce mix in our hoophouse, and have started pulling some heads in there. Of course, we want to harvest the hoophouse head lettuce before it gets too bitter, but we also don’t want to get too far ahead with the harvesting and run out! Our second baby lettuce mix is now ready for cutting, and the third sowing is not far behind. March 9 is our goal for a transplanting date outdoors for our first 120 heads of lettuce (about one week’s worth for 100 people). We sow four varieties each time, some green, some red, different shapes and textures, different numbers of days to maturity. This way we hope to have a constant supply, and hedge our bets if something goes wrong with one variety. In our first sowing we have Parris Island green romaine, Buttercrunch green bibb, and Hyper Red Rumpled Wave, a very red leaf lettuce, as well as Bronze Arrow, shown above. Our second sowing includes Cosmo, another green romaine, Star Fighter, which I wrote about last June, Oscarde, a red wavy leaf lettuce and one of our work-horses, Red Salad Bowl. Our third sowing has Panisse, a green wavy-leafed variety, Revolution, a red leaf lettuce, Swordleaf, which I wrote about last spring, and green Salad Bowl. 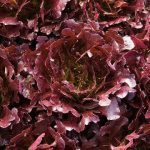 Buckley red oakleaf one-cut multi-leaf lettuce. Our fourth sowing includes New Red Fire and three Eazyleaf lettuces ( Ezrilla, Hampton and Buckley) sold by High Mowing Seeds. We are simply trying these out this spring, to find out if we want to grow them next winter. In our climate these are unlikely to stand for long in the spring, and much more likely to grow well in our hoophouse in winter. 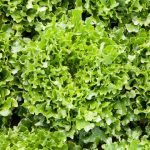 These are varieties that produce lots of small leaves (no big leaves) enabling growers to get an instant salad by cutting a whole head. 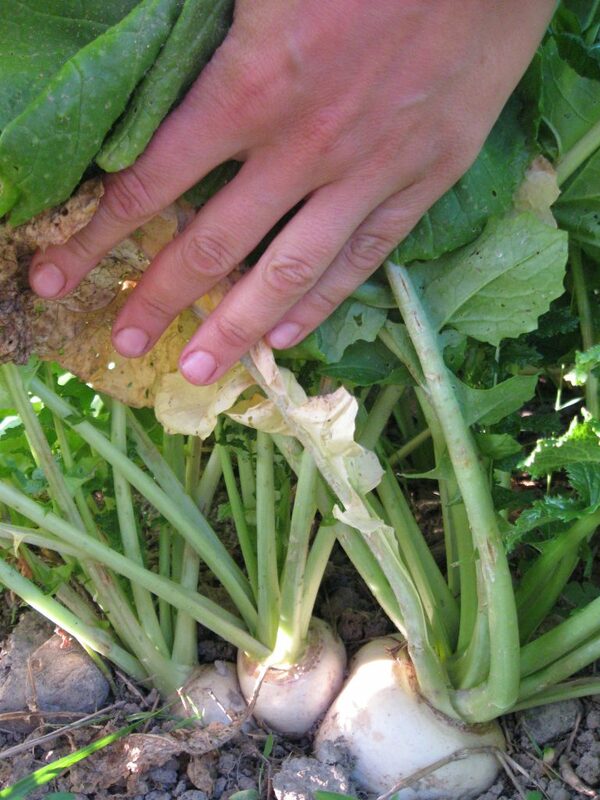 We are more likely to harvest them multiple times, taking some leaves each time. 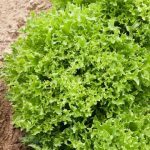 It’s exciting to see more lettuces of this type on the market. I wrote previously about Osborne’s Multileaf lettuces and Johnny’s Salanova varieties. 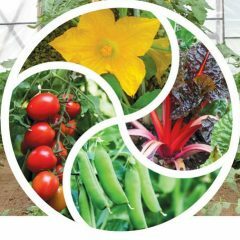 Gardening is not all about lettuce! 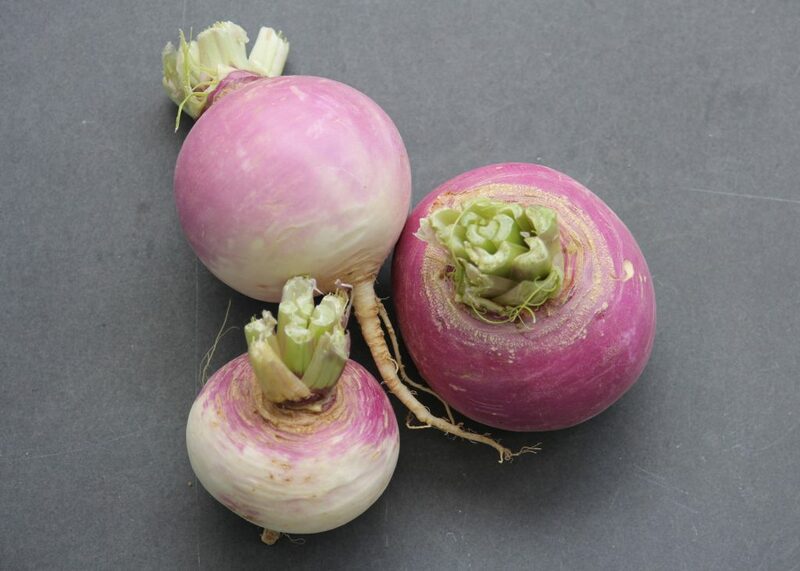 We have sowed two beds of carrots outside and also a bed of turnips (Purple Top White and White Egg), with a row of radishes to pull before the turnips need the space. And we are still “recovering” from transplanting 3600 spinach plants. They are all doing well, despite my mix-up about which varieties were intended to be planted in which bed. We are comparing three varieties this spring: Tyee, Avon and Reflect.